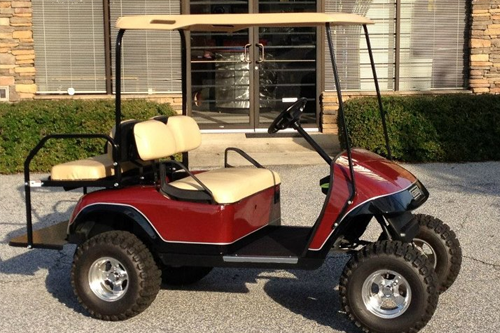 Providing both sales and service for golf carts in Greenwood and surrounding areas. For years now we have been installing stereo systems and accessories on golf carts. Now along with Music Masters professional car and home audio sales and installation, Cart Masters can now fill all or your golf cart parts, accessory and service needs too. We can fix up your cart or build a custom cart any way you want it. We offer custom paint, lift kits, wheels and tires, custom seat covers, rear flip seats, repair parts, etc. along with professional installation.